Moor milagai dhal ( Curd chilli /moor milagai - Chilli that is marinated in the yogurt and salt. Then it is sundried and stored for future use. This has wonderful unique taste when fried in the oil. The aroma flows over the whole house. ). Curd chilli dhal was introduced by my Husband's grandmom to me . She is an awesome cook. She is great and passionate cook. Even the simple dishes that she make tastes heavenly. This is what they say as ' Kai Pakkuvam' in tamil, means some hands really do magic in the food they make. 1. Pressure cook the toor dhal. 2. Heat oil in the pan, add the mustard seeds, once they are spluttered. 3. Add the asafoetida, curry leaves followed by broken curd chillies, saute until they are golden brown. 4. Now add the rasam powder. 5. Add the cooked toor dhal, enough water, tamarind extract. 6. Add salt, let it boil and when dhal gets little thick and to desired consistency. 7. Switch off the flame and add coriander leaves. Serve with some spicy dry curry (poriyal) and pappad. Enjoy the satisfying comfort meal !!! Simple yet delicious, beautiful presentation. this is very new to me.....curd chilli is my hubbies favt.. This is new to me.. gonna try soon... and will post how it turned out.. sounds like a tasty one.. I am drooling..
nice and delicious !! well presented !! Love this spicy treat, Pavithra! And what gorgeous click..lovely post. Wooow what a comfort dish !! Lovely clicks ..... my fav the 2nd one. This looks so comfortable dish .. Dals are always easy n healthy n delicious..
Thats looks delicious, usually i love moor milagai with curd rice, dal looks super inviting and comforting.. Totally new one.....i love the curd chillis but never added it to dal!! Wowwwwwwwww... tempting and beautiful presentation.. thanks for sharing dear !! Such a simple khaana yet very tempting!!! 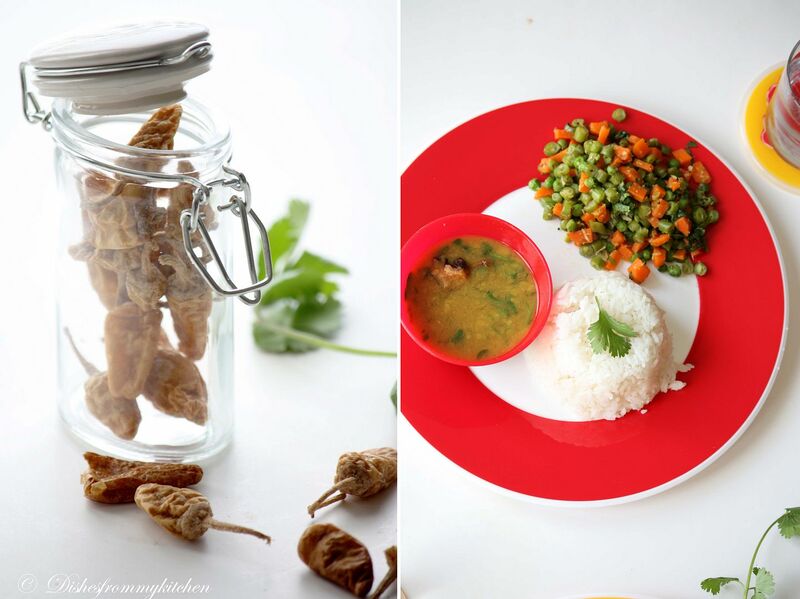 You rock at food photography too..... Looks very sumptuous!!!! Kudos!!! this looks incredibly good! i put mor molaga in everything. its great with pasta!! Ur pics are breath-takingly beautiful! Ive gotta try this soon now ! 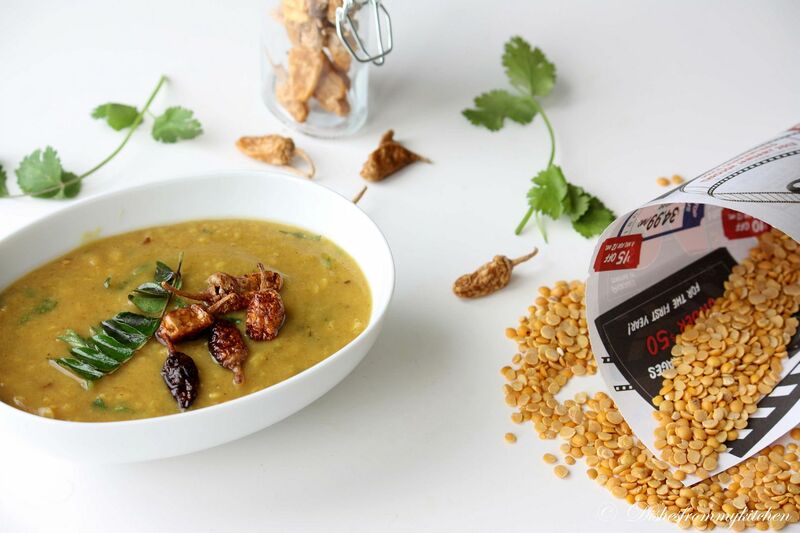 Very interesting recipe,healthy dal with curd chilli and nice clicks. 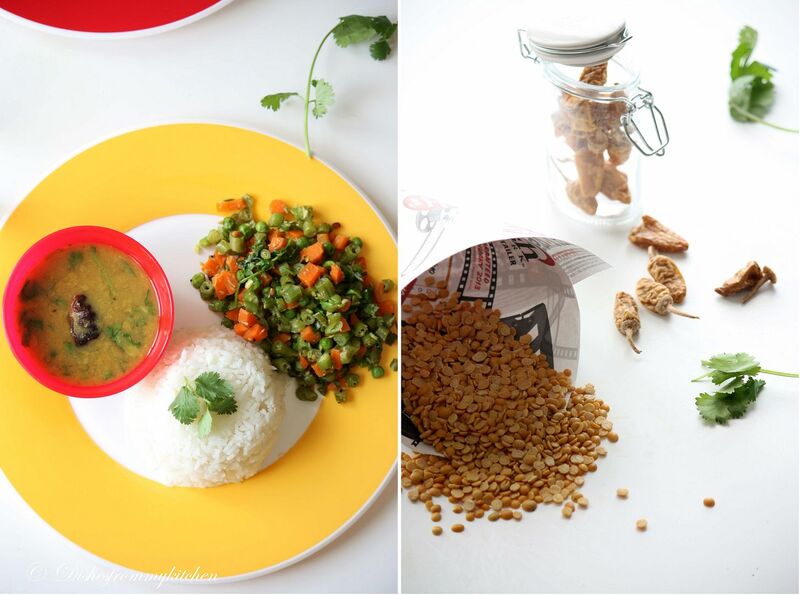 Pavi - love the classic simple recipe and of course your pictures are as perfect as ever! 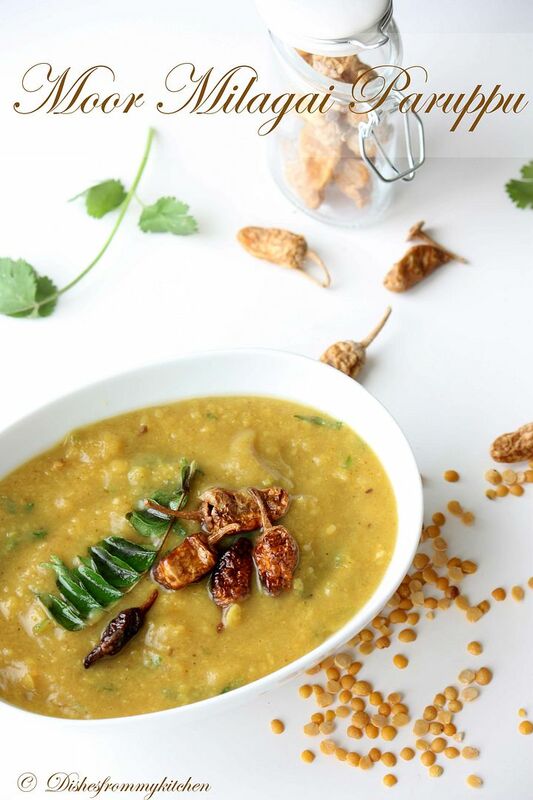 I have never heard about the Moor Milagai with Dhal, looks delicious!Bookmarked and going to try sometime soon. Lovely presentation and yummy curry. I always wanted to make a curry using this chilli, thanks for sharing. Will try this soon. 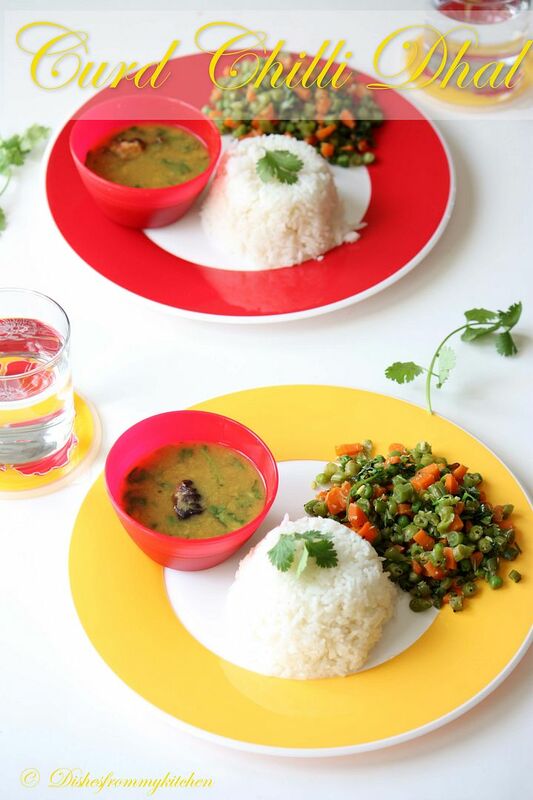 Nothing beats dhal rice and veg fries looks so good Pavithra!